The environment may be harsh, but shipping is just one part of a wider logistics and supply ecosystem, and it isn’t delivering the value it could. Our customers want improved transparency, visibility, higher quality Big Data and analytics to gain business insights, and the adoption of cloud networking for greater efficiency and collaboration. 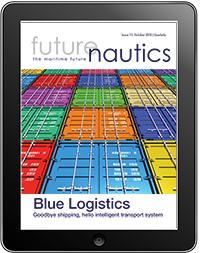 The intelligent transport systems of the future are taking shape, and we need to start thinking far bigger, engaging with suppliers and customers to start creating value rather than just cutting cost, and becoming a new blue logistics channel.